Burnley MP Julie Cooper has been accused of betraying residents of the town who voted for Brexit by opposing the so-called Great Repeal Bill, which she has branded “a power grab by the Tories”. The Labour MP, who declared herself a “Remainer” before the Brexit referendum in 2016, has previously said she would accept the result of the referendum, but her Tory rival in June’s General Election, Paul White, says she has now backtracked on that promise. Mr White said: “Throughout the General Election campaign, Julie Cooper spent a lot of time making it clear to people that she accepted the result of the referendum. She convinced people to trust her on that. “Then, on Monday night she voted against the Great Repeal Bill, which is a huge bill which would in effect delete European Law and replace it with British law. Labour has described the bill as an “affront to parliamentary democracy” and leader Jeremy Corbyn urged his MPs to vote against it. Only seven Labour MPs defied Corbyn’s order to oppose the bill, while no Conservatives voted against it. Mr White, a Pendle councillor and Vote Leave campaigner, added: “Julie clearly said one thing before the General Election, and is doing another now. That shows the contempt in which she holds the voters in Burnley and Padiham, almost 70% of who voted to Leave the EU. She’s shown her true colours. Mrs Cooper added: “I fully understand and accept that the UK is leaving the European Union, and that I represent a constituency that reflected the referendum result, in terms of a majority leave vote. “That is why the majority of MPs voted to trigger Article 50 to make this happen and that was the right decision to take. That vote took place months ago and that issue is settled. “Personally I have never sought to overturn the outcome of the Referendum or ‘block Brexit’. My constituents voted out; I promised to respect their decision and I have kept that promise. “I have never tried to delay the process and I never will; to do so would be in my view undemocratic. “Mrs May and her Government have now caused further delays by forcing through a bill that is not fit for purpose, which will need extensive improvements and amendments in multiple areas. 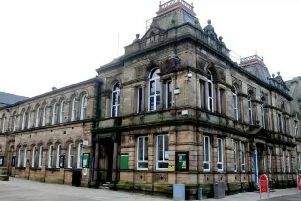 “Of course the Pendle councillor Paul White is fully aware of this, but apparently choosing to blur the facts for personal political gain which is a shame as people need to understand the facts without being misled. “I have repeatedly promised my constituents throughout this process that I would work for the best possible Brexit deal that did not hurt our economy and threaten jobs and I intend to honour this promise. “The fact is the Government has come forward with a bill that transfers power from the European Parliament, not to the British Parliament, which is what people voted for, but to the Prime Minister and the Conservative Cabinet. “David Davies has said that we can trust them to do the right things. Well I don’t trust them and the British public voted to return sovereignty to the British Parliament, not a Tory dictatorship. “The public in Burnley and Padiham certainly did not vote to put their trust in the Tories. Never since the time of Henry VIII has a British ruler come up with such a disgraceful ‘power grab’. “Even the former Tory Attorney General described the bill as an ‘absolute monstrosity’. Therefore I had no hesitation in voting against this bill. “Many Tory MPs have already signalled their intention to have large sections of the bill amended to prevent the loss of rights of citizens at the next stage in Parliament and I and my Labour colleagues will also continue to do the same, not to stop or delay Brexit but to prevent any abuse of power, which would leave ordinary families worse off. Following the second reading of the billt, and a vote which saw the bill passed through to the next stage, Labour tabled a number of amendments to address protecting workers’ rights, environmental standards, human rights and equality laws.